A Pakistan court trying Gen. Parvez Musharraf on charges of his case says it is examining a medical report on his condition to decide whether the former President can be excused from hearings while he remains in hospital. The court said on Tuesday that it would rule on the matter in two days. Musharraf has faced a range of criminal cases dating back to his 1999-2008 rule after returning to Pakistan in March, including the murder of former prime minister Benazir Bhutto. Gen. Musharraf remains at the Armed Forces Institute of Cardiology in Rawalpindi, where he was taken last Thursday after suffering what was described as a “heart problem” while on his way to court. No details of his condition have emerged since then. The prosecutor in the case, Akram Shaikh, told the court he doubts Gen. Musharraf is ill and accused the former ruler of trying to evade appearing in court. 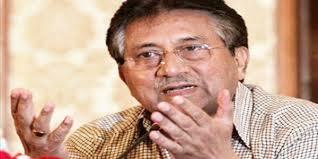 Gen. Musharraf missed two earlier hearings in his case because of bomb threats.